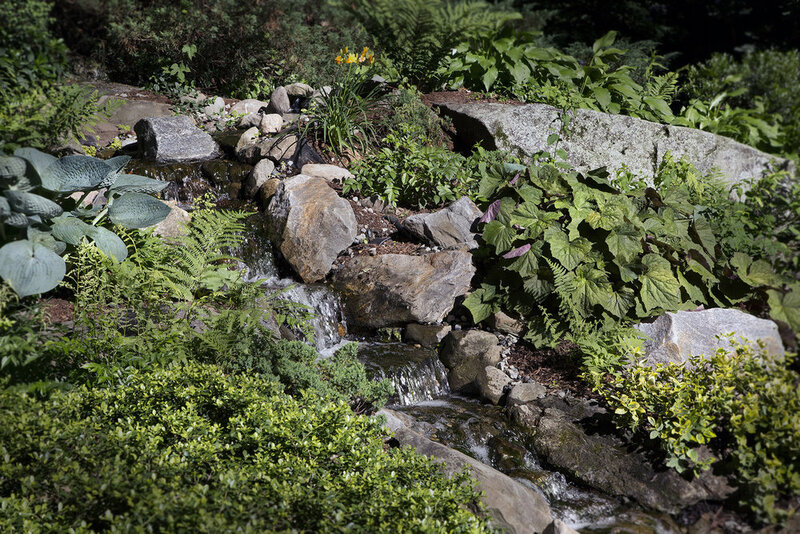 Harmonious native plantings and stone patio complement a natural-looking pond. 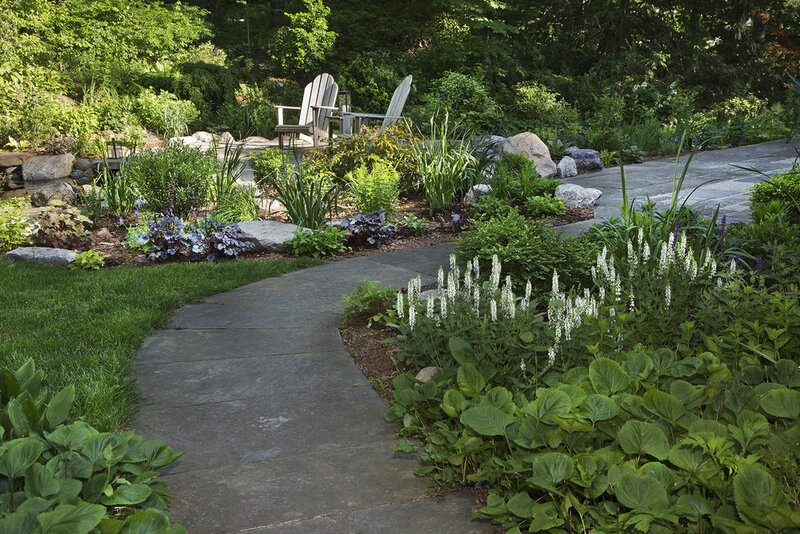 Garden paths invite strollers to explore. These homeowners know that native plants and clean drinking water are invaluable to sustaining wildlife. So we installed a natural pond and waterfall that cleans itself with natural bacteria, not chemicals. 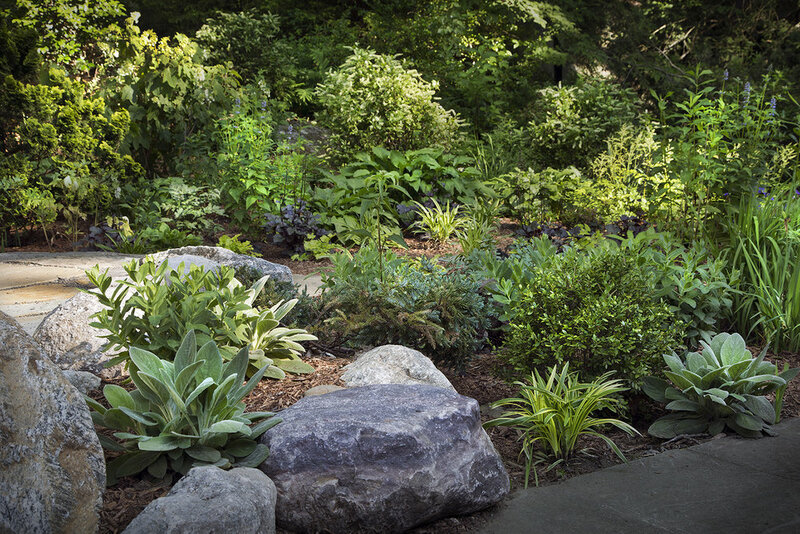 Before designing the property, the plantings lacked harmony and composition. The new water feature was an opportunity to rethink the whole backyard living space. 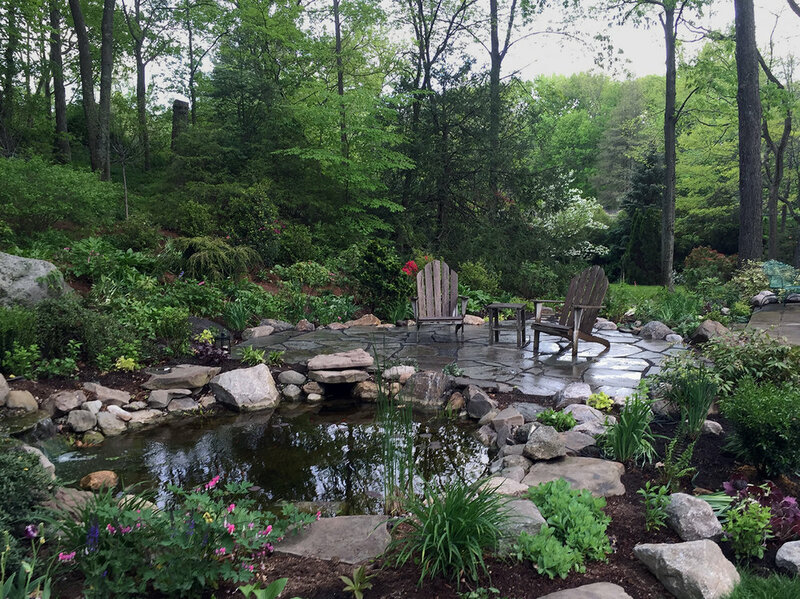 We added a natural stone patio to enjoy the waterfall close up, connecting the pond area to the existing dining patio. The garden paths were re-routed to better follow how foot traffic flowed. Existing plants were massed, along with new native plant perennials and evergreens. These images are right after the planting. The plants will grow together in harmonious groupings over the years.